WINNIPEG – In a three-hour conference call Thursday, January 6, Lutheran Church–Canada’s Board of Directors discussed the process of receiving responses to the various task force reports it has received and set out some new assignments. The board paid particular attention to the report from the Task Force on Cost-Efficient and Sustainable Seminary Education which it received in early December. So far it has received written submissions from both seminaries, several retired faculty and clergy, along with a congregation. The board also reviewed comments from online posts at www.canadianlutheran.ca regarding the report. It decided that any additional written submissions to the board must be received by February 10, 2011. (E-mail bod@lutheranchurch.ca or send to 3074 Portage Ave, Winnipeg, MB R3K 0Y2). Further board discussions are planned by conference call February 15. While expressing its appreciation to task force chairman Rev. Nolan Astley, the board declined to dismiss the group and asked it to undertake three additional assignments. 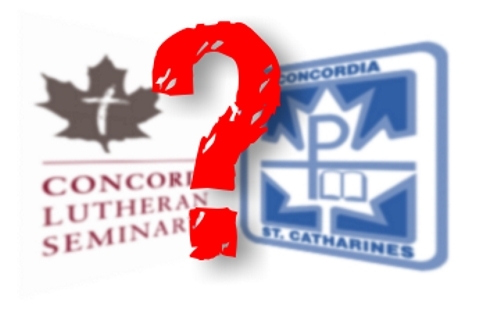 The first will be completed January 21 when the chairman and another task force member will attend a joint meeting of the Boards of Regents of Concordia Lutheran Theological Seminary and Concordia Lutheran Seminary in St. Catharines. The directors believe it is important for the regents to meet with task force members to further understand the implications of the report’s recommendations. In addition to attending the regents’ meeting, the task force was asked provide a more detailed financial and cost-saving projection based on its recommendation for a joint administrative structure and distance education. The Board of Directors also asked for more information regarding the legal status of operating both institutions under a single Board of Regents. During the meeting President Robert Bugbee cautioned the directors to avoid becoming so consumed with the seminary report that the other two task force reports, one on LCC’s vicarage program and the other on cultural properties and archives, fail to receive the attention they require. The board also noted that the 2008 convention resolution empowers it to “implement” a cost-efficient seminary program. The 2011 convention would only need to consider any bylaw changes required to bring the implementation into line with LCC’s Handbook. Any overtures resulting from the three task force reports will be handled by the convention’s Resolution Committees. Deadline for congregations to submit overtures to the convention is February 11. ATS’ (first and brief) very important reaction to the report, received by me, was also forwarded to the Board of Directors before their meeting.